Moldova is a small landlocked country in Eastern Europe. This off-the-beaten-track destination is home to approximately 3.5 million people. Moldova is the chance to experience an authentic Eastern European atmosphere without the bustle of tourist crowds. Popular attractions include the National Museum of History of Moldova in Chișinău, Kvint Factory in Tiraspol, and Bender Fortress in Bender. Cheap flights to Moldova are now available for a limited period of time, so get ready to explore this beautiful country. Chișinău is home to Chișinău International Airport (KIV), which is a 20-minute drive from the city centre. Traditional architecture can be seen throughout Moldova, which consists mostly of domestic houses and churches. Take in the sights of the Orthodox Cathedral and the Arc de Triomphe (Holy Gates). Communist-era architecture floods Chișinău. With nearly four percent of its territory covered in vines, Moldova is known as 'Grape Country'. Crafted by generations of winemakers, Moldova’s fertile land affords top-of-the-range wine. Enjoy a wine tour, which is sure to delight your palette. 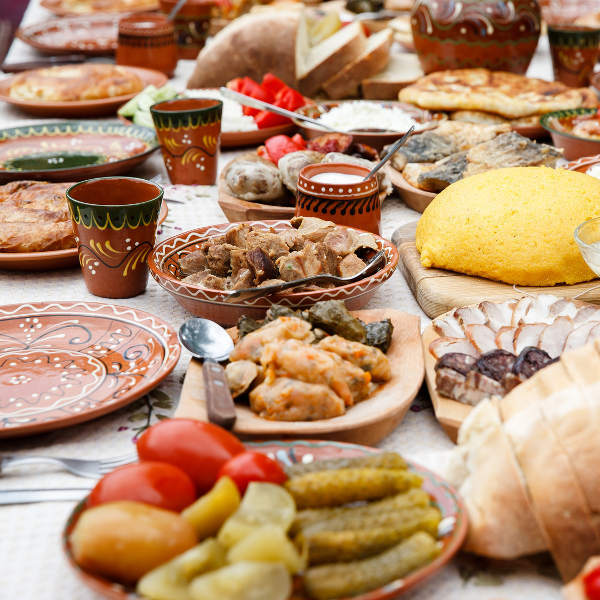 Feast on exquisite cuisine that has influences from many Eastern European cultures, including Ukranian, Russian, Greek and German. Taste traditional dishes such as marmaligga (cornbread) and zeama (chicken broth soup). Moldova has a temperate continental climate, with the Black Sea providing a modest maritime influence. Summer temperatures can reach 40 degrees Celsius. Thunderstorms may occur during the months of June and July. Temperatures in the north of the country average around 25 degrees Celsius, while in the south it can reach around 28 degrees Celsius. This is the season to see breath-taking skylines, rolling hills and field crops budding. Winter can be a challenging time for tourists who are not used to temperatures of -3 degrees Celsius. It is extremely cold and dry. Martisor is a celebration held on the 1st of March, which marks the coming of spring. Peak season is between mid-May and August, when Eastern Europe sees an influx of tourists and price hikes. The best time to visit to avoid crowds and enjoy discounted prices is during April to mid-May and September to mid-October. Bordered by Romania to the west and Ukraine to the north, east, and south, the Eastern European country of Moldova is often overlooked. However, in recent times, this seems to be changing as more and more tourists make their way to this unspoiled countryside destination. This tiny landlocked country emits an atmosphere that takes you back in time - tourists are met by Soviet-era buildings and farms with no equipment, as everything is done by hand. Expect the most peculiar situations and sights in Chișinău - this lively city is home to an abandoned Soviet circus and a picturesque Jewish cemetery. 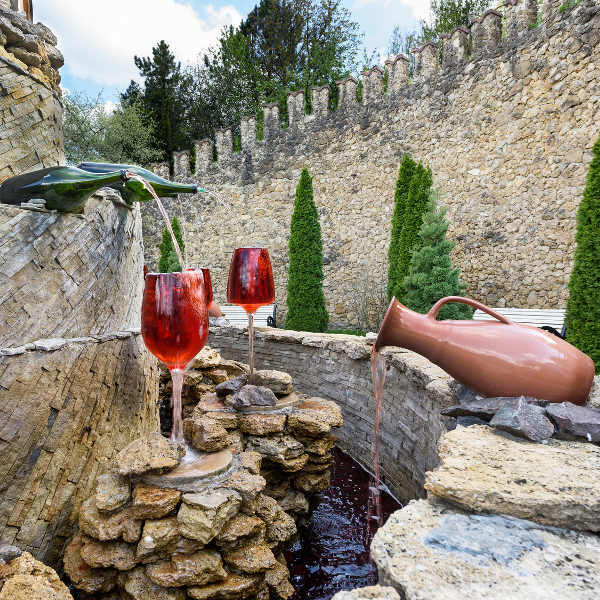 One of Moldova’s gems has to be its vineyards - go on a wine tour and explore the best wine selections that are on offer! Located on the western banks of the Dniestr River, Bender was the hardest hit by military conflict, but today it is filled with people strolling while taking in the city’s sites. Popular attractions include Memorial Park and Bendery Fortress. Considered the “Roma capital of Moldova", Soroca, is frequently visited for the Soroca fortress, which invokes Medieval imagery. 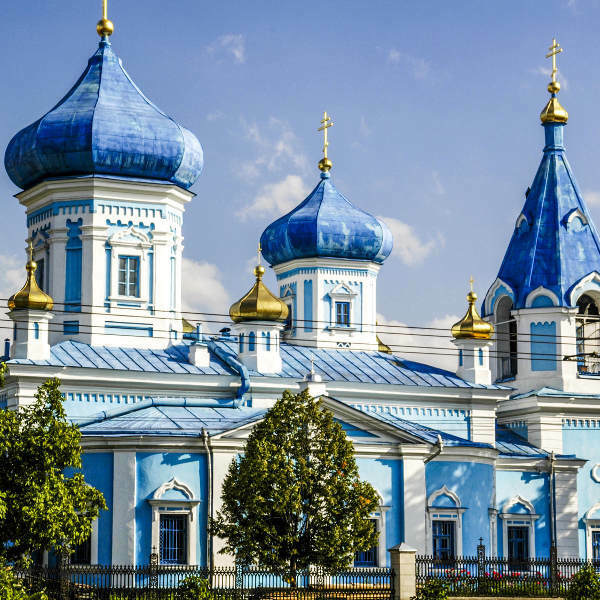 Renowned for its wealth which contrasts the rest of Moldova, this gypsy capital flaunts flamboyant homes and remarkable monuments. Popular attractions include Candle of Gratitude and the Soroca Museum of History and Ethnography. Compare several airlines and book your cheap flights to Moldova online at Travelstart! All travellers going to Moldova should be up-to-date on tetatus-diptheria vaccine. Other routine vaccinations to obtain include measles-mumps-rubella, varicella (chickenpox), and your yearly flu vaccine. You should also enquire about vaccinations such as hepatitis A, hepatitis B and rabies, as these diseases can be contracted in the country, depending on your itinerary. Moldova is a safe country to visit. However, like any destination, there are local laws and customs to take note of so you avoid unnecessary incidences. • Be wary of pickpocketing and bag snatching, especially in the busy streets of Chișinău. • Avoid unlit parks and dark alleyways. • Only use official taxis – they are yellow and easy to identify. • Be vigilant of taxi drivers and restaurant staff attempting to overcharge you. • It is advised to avoid using the ATMs. Instead go inside the banks to get money. • Be polite and avoid bringing up politics, as this is still a sensitive topic in the country.